As would be expected from such an economically successful province, Shandong's education system has improved tremendously over the past 20 years. Since the reforms of 1979, Shandong has emphasized the development of higher education institutions, it has reorganized the structure of middle schools, and made the quality of education a key part of its educational reform process. According to figures from the end of 2000, there were 58 higher education institutions in Shandong, with 303,826 students enrolled and 54,910 teachers. There were also 4,475 secondary schools with 6,786,003 students enrolled and 430,745 teachers, and the province's 26,017 primary schools had a total of 7,748,822 students and 440,161 teachers. 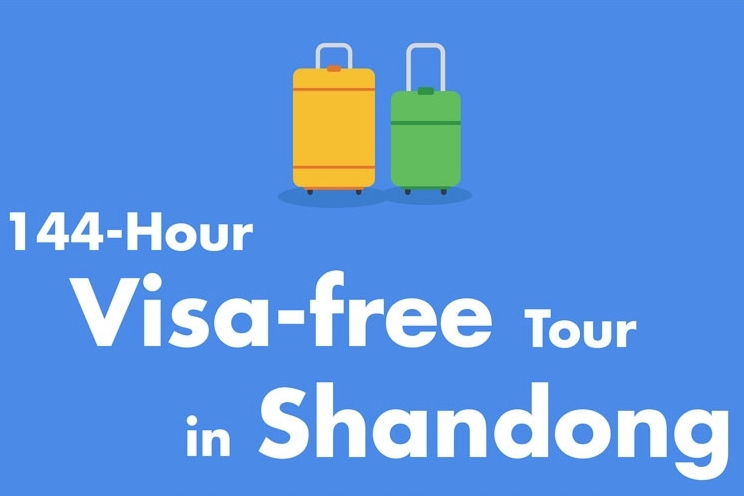 As Shandong continues to grow and expand economically, it is reasonable to expect that its education system will also follow along, providing the country with a strong pool of skilled and educated individuals. By 2013, there are 18,528 kindergartens, 11,151 primary schools, 2,917 junior high schools and 547 senior high schools in Shandong province. China University of Petroleum (Huadong) is one of the state universities sponsored by the Ministry of Education of the People’s Republic of China (MOE), one of the 211 Project universities and is jointly constructed by the Ministry of Education, CNPC, SINOPEC, CNOOC, SINOCHEM and Shandong Province. 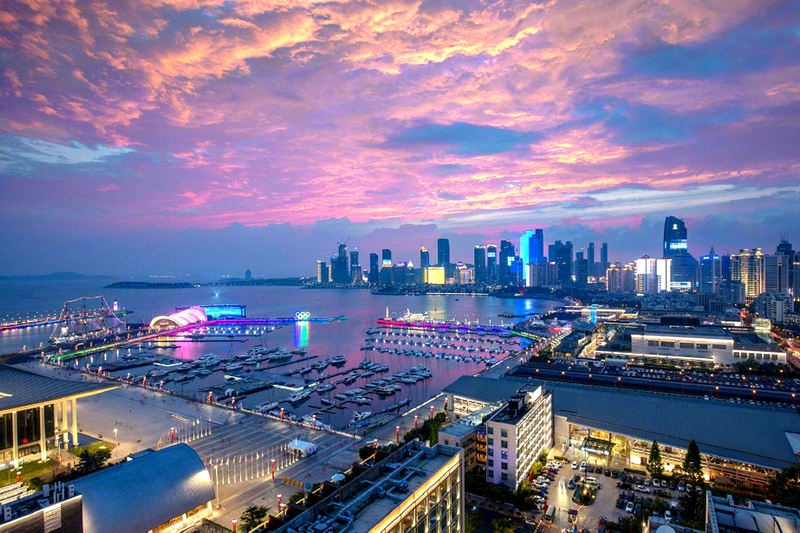 CUP (Huadong) locates at the charming and amazing coast city of sailing boat—Qingdao, it also owns one campuses in Dongying city where is famous for its rich oil field and delightful natural views. The total size of the two campuses is about 300 hectares with nearly 1.36 million square meters of floor space. The library has a collection of over 5.54 million volumes of books and documents (including electronic materials). Qingdao campus faces the calm blue Tangdao bay with its back to the grand Xiaozhu Mountains and the campus is a part of Huangshan mountain massif. Dongying campus is in the heart of Dongying city through which the Yellow River goes and the beautiful Huicui Lake is inside the campus. It is the top-ranking base for learning, researching and achievements transforming. The University has School of Graduates and other 17 colleges and departments, such as College of International Education, College of Geo-science and Technology, College of Petroleum Engineering, College of Chemical Engineering, College of Mechanical Engineering, etc. The total enrollment approximately includes 19,420 full-time undergraduates, 4,749 postgraduates and 350 overseas students. Over 1,500 are employed as full-time teachers, among them there are 6 academicians of the Chinese Academy of Engineering (CAE) and the Chinese Academy of Science (CAS), 819 professors and associate professors, 140 doctoral students’ supervisors. The University offer 5 State-accredited key disciplines, 6 post-doctorate Research Centers, 56 undergraduate programs, 150 postgraduate programs, and 49 doctorate programs. Petroleum major disciplines are in the domestic lead. The University is a major site for training professionals for the petroleum and petrochemical industry. It is powerful in research of fundamental theories, applied research and other aspects with more than 10 research fields leading in China and some technologies leading in the world. The University has been consistently enforcing an open-door policy that encourages and strengthens international collaboration and exchanges. It has developed various academic exchange and cooperation programs with more than 29 foreign universities and academic institutions in 14 countries and geographical regions. Its experts and professors go abroad annually to study or carry out academic exchange programs and foreign experts are invited to teach and research every year. Over 100 famous experts have been awarded the title of the Part-time Professor, Guest Professor, or Honorary Professor by the University. The University enforces international education and is broadening the overseas market by preponderant disciplines and resources related to petroleum. There are over 350 international students from over 30 countries on campus. They are language students, undergraduates, postgraduates, college exchange students and advanced research students, among them over 80% are degree students who are in-taken in majors of Petroleum Engineering, Oil & Gas storage and Transportation, International Economy and Trade and its other hot specialties. The university holds international academic symposiums each year. China University of Petroleum (Huadong) warmly welcomes students from overseas. Liaocheng University is a public, comprehensive university in Liaocheng, a city famous for its well-earned historic and cultural reputation and beautiful lakes in eastern China’s Shandong province, one of the most populous and Confucian provinces and biggest economies in today’s China. History of the university dates back to 1974, when it was founded as a branch campus of Shandong Teachers’College, and accredited by State Council, the institution was renamed Liaocheng Teachers’College in 1981, and was further upgraded, certified by China’s Ministry of Education, as Liaocheng University in 2002. Liaocheng University covers a land area of 200 hectares, on which building acreage canopies 750,000 square meters. The gross value of the university’s instrument and equipment reaches 40 billion USD, while the libraries collect 2.6 million books and over 20,000 GB electronic documents. Such modern facilities as lecture buildings, experimental buildings, libraries, network centers and stadiums witness and facilitate the teaching, studying and scientific research of students, faculty, and staff in Liaocheng University. Liaocheng University, an honored winner of Elite University on Practical Talent Training in Shandong, confers degrees to its 31,000 full-time students in the fields of 93 master-degree and 81 bachelor-degree programs, and it is authorized as well with master degree programs for professional disciplines and people with qualifications equivalent to postgraduates on graduation. Presently there are 27 colleges/schools in the university, devoted respectively to programs on all the 11 discipline categories, namely, philosophy, economics, law, pedagogy, literature, history, science, engineering, agronomy, art, and administration. Liaocheng University encompasses a wide array of renowned academic celebrities to share their talented expertise with students. Among its 2,152 excellent staff members, there are 220 professors and 465 associate professors, highlighted with appointed (from other institutions), part-time, and visiting academicians from CAS (Chinese Academy of Sciences) and CAE (Chinese Academy of Engineering). As an honored participant of Thousand Talents Plan (China's record ambitious talent importing project over 2010–2020) and Taishan Scholars (a most pivotal talent importing plan launched by Shandong province), Liaocheng University shoulders 360 state/provincial scientific research projects in its 21 provincial level key disciplines, key labs, and research base on humanities and social sciences. Liaocheng University is endowed with 12 state/provincial level featured disciplines, 18 state/provincial level elite courses/model courses on bilingual teaching, 6 state/provincial level teaching teams, and 44 state/provincial level teaching achievement prizes, coupled with a result of excellence in the nationwide teaching evaluation on undergraduate universities by Ministry of Education in 2007. Liaocheng University has long been active in its endeavors to grow into a truly global university, and the tree of its decade-long international exchange and cooperation has borne rich fruits in view of joint academic research and personnel exchange with universities from over 100 countries and districts. Ocean University of China is a comprehensive university under the direct jurisdiction of the State Ministry of Education, offering coursework in the fields of Economics, Liberal Arts, Medical Sciences (Pharmaceuticals), Management, Law, Sciences, Engineering and Agronomy. OUC has been approved as one of the national key universities with “Project 985”and “Project 211”. Founded in 1901, Shandong University (SDU) is one of the oldest government-run universities in China and the first university in Chinese history that was run under the guidance of a university charter. As the highest academic institution in Shandong Province and a key university directly under the jurisdiction of China’s Ministry of Education, SDU is a member university of Project 211 and Project 985, two prestigious projects under China’s Ministry of Education to support the development of high-quality universities in China. SDU is in Shandong Province, which lies on China’s east coast and the lower reaches of the Yellow River. Shandong Province is not only one of the most developed coastal provinces in China, but also the birthplace of Confucianism and Confucius, the world-renowned ancient Chinese thinker and philosopher. The university proper is in Jinan, the capital city of Shandong Province. It consists of six campuses in Jinan, namely, the Central Campus, the Hongjialou Campus, the Baotuquan Campus, the Qianfoshan Campus, the Software Campus and the Xinglongshan Campus. The university also has a branch in Weihai, a beautiful coastal city in Shandong Province. SDU attaches great importance to international exchanges and cooperation, and has established extensive academic ties internationally. So far it has established inter-collegiate cooperation with more than 120 universities in over 40 countries and regions. It is among the first universities in China’s mainland to accept international students and to offer Chinese programs to them. Since 1980, the university has accepted international students from over 100 countries, and currently, it has more 2,000 regular international students. Located in the city of Jinan, Shandong Province, High School Attached to Shandong Normal University is neighboring the winding mighty Yellow River, sparkling clear Daming Lake, towering Qianfo Hill and the spewing Baotu Spring. Covering an area of 50,000 square meters, the school has a beautiful campus environment, with cherries thriving in spring, lotuses drifting in summer, chrysanthemums blooming in autumn, and pines and cypress greening in winter. Rockeries and flowing water contrast finely with each other, wonderful carved stone balustrades excelling nature, and the school is outstanding model of garden type courtyard school in Jinan City. Attached High School of Jinan Diesel Engine Factory, Jinan No. 30 High School, and Attached High School to Shandong Normal College. In 1981, the school was renamed High School Attached to Shandong Normal University. At present, the school has 90 high school classes, with more than 5,400 students at school and more than 300 faculty members. Sixty years bring great changes to the world, and are extraordinary years. Keeping with the strong and vigorous pace of People's Republic of China, the Senior High School Attached to Shandong Normal University experienced many vicissitudes of times and has proudly gone through 60 years in Qilu, the state of cultures and ceremonies. Young seedling has grown into a towering tree and tiny brooklets have assembled to form great waves. Nowadays, with energetic and unyielding work and struggle of generations, the school has developed from a general high school into an elite school, top-notch in Shandong Province, first-class in the country and well-renowned in the world.